Dealing with the loss of a loved one is a stressful time. 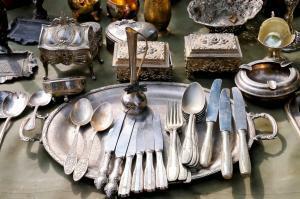 The last thing you need to worry about is an estate sale, auction or the contents of a home or condominium. It can be overwhelming even if you aren’t having an estate sale; simply sorting through items can be challenging or emotionally difficult. You do not have to do estate organization alone. If you live out of town and trying to plan a funeral, you may not have the time to know the contents of your friend or family’s home. In addition to estate organizing, Julie Coraccio is available to help clear out a home once a loved one has passed. Julie can organize items to make it easier when dividing an estate or having relatives select items. Julie can work alone, with family members, or create a plan if the estate is something that the family would like to handle privately. We can discuss if you will be donating items, sending them to consignment stores or selling. Creating an inventory of contents of the home, garage, shed, etc. List of important documents including deeds, insurance papers, stocks, bonds, bank accounts, etc. Decide whether to keep, sell, donate, give to someone or trash. Julie is also happy to assist you in finding an auction or estate sale company, cleaner, real estate agent or any other support you might need during this process. If you are looking for compassionate and caring estate organization call Julie Coraccio at 919.559.3925 to set up a free 15-minute phone consultation. Julie is available to consult with you via Phone, FaceTime, Skype, Google Hangouts on Air.